American Joel Snyder, one of the first audio describers in the world, will talk next week to arts and cultural organisations in Auckland and Wellington about the techniques he uses to provide audio description to blind and vision impaired people. 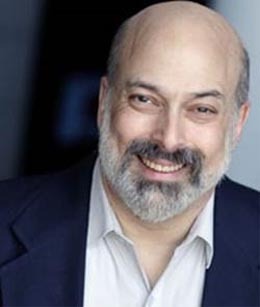 Since 1981, Joel Snyder has provided audio description for hundreds of theatre productions, office meetings, award ceremonies, parades, sports events, weddings and funerals. He has introduced audio description techniques to more than 35 countries and throughout the States. The Smithsonian National Museum of American History uses his techniques and he has also audio described ceremonies at the White House for President Obama. Arts Access Aotearoa has organised Joel Snyder’s visit to Auckland and Wellington. Richard Benge, Executive Director, Arts Access Aotearoa, says the opportunity to share Joel’s expertise and knowledge with New Zealand arts and cultural organisations was too good to miss. In Auckland, THE EDGE provides audio described performances of theatre, musicals and opera through its SIGNAL programme. In Wellington, Arts Access Aotearoa organised a three-day audio describer course in March 2014 to help build a team of professional audio describers. This was held in partnership with Wellington City Council and Toi Whakaari: New Zealand Drama School. Audio description is a narrated commentary for blind and vision impaired patrons that describes the visual elements. In a theatrical performance, for example, an audio describer narrates what’s happening on stage in between the dialogue or songs: new scenes, settings, costume, body language, facial expression, movements across the stage and sight gags. An audio describer talks into a microphone to provide the commentary, transmitted to wireless receivers and headsets worn by the audience members. Joel Snyder is the Director of the Audio Description Project for the American Council of the Blind and President of Audio Description Associates. His upcoming book, The Visual Made Verbal: A Comprehensive Training Manual and Guide to the History and Application of Audio Description, will be published by the American Council for the Blind this month. Joel Snyder’s free presentation at the Auckland Art Gallery is from 2pm to 3.30pm on Monday 7 April and at the St James Theatre in Wellington from 5.30pm to 6.30pm on Wednesday 9 April. To book your place, contact Claire noble, Arts Access Aotearoa (T: 04 802 4349 E: Claire.noble@artsaccess.org.nz). Original generation time 1.6141 seconds. Cache Loaded in: 0.0324 seconds.